When you stay at the Harrison Beach Hotel in Harrison Hot Springs, you will have many exhilarating activities to enjoy. 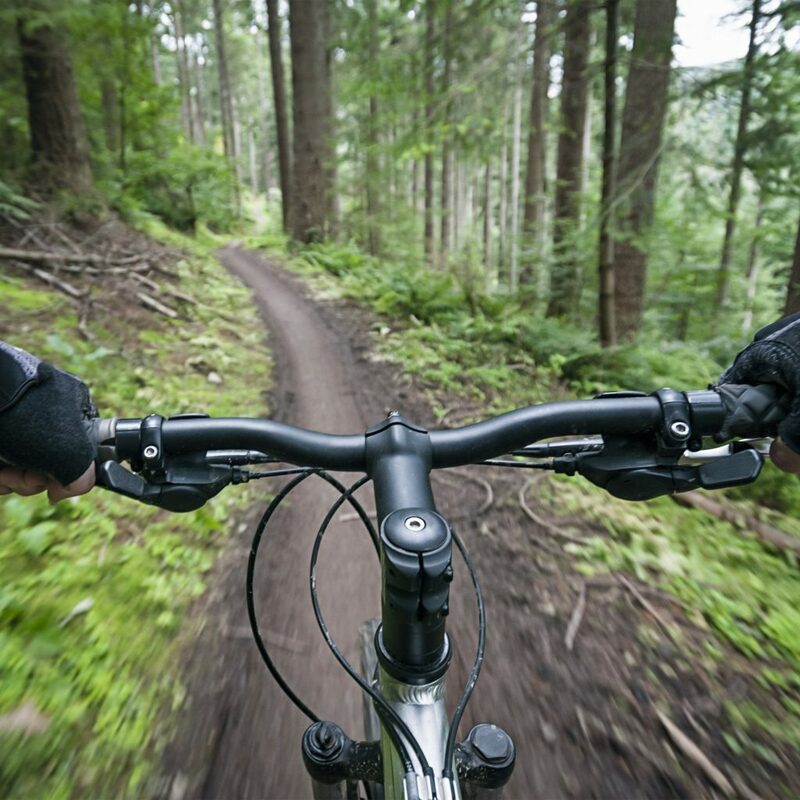 To make sure you get the best experience possible, we have everything you need to make the most of the outdoors including mountain bike rentals! Drop by the front desk or give us a call for more information. Please note: Prices do not include applicable taxes. Must be 18 or older and a waiver must be signed at the time of rental. Bear Mountain lies just outside Sasquatch Provincial Park to the south. A series of old roads climbs from the Bear Mountain trailhead beside Harrison Lake for almost 6 miles (9 km) with an elevation gain of 3,300 ft. (1000 m). You’ll have to bike-and-hike in places, or stash your two-wheel chariot for a final ascent on foot. Catch your breath as you drink in panoramic views of the Fraser Valley and peaks to the south, with mountain scenery on the other three sides. This 26km ride takes you from Harrison Hot Springs to the farm lands of Agassiz. You will drive past farms, fields of corn, orchards of hazelnuts, cows, sheep and the odd donkey. Located north of Harrison Hot Springs, Sasquatch Provincial Park is characterized by a series of pocket lakes, a unique second-growth and birch forest, and scenic mountain ridges. You can bike along the miles of logging roads for a lengthy ride through the park.